Home Reviews Millennium Falcon Drone – Pilot like Han Solo! Millennium Falcon Drone – Pilot like Han Solo! Are you ready to make your Star Wars dreams come true? First, you can race drones like you’re in Star Wars AND you can fly the Millennium Falcon Drone! Before we start on the good and the bad of this drone, it’s not a quadcopter to compare to DJI or Parrot drones. 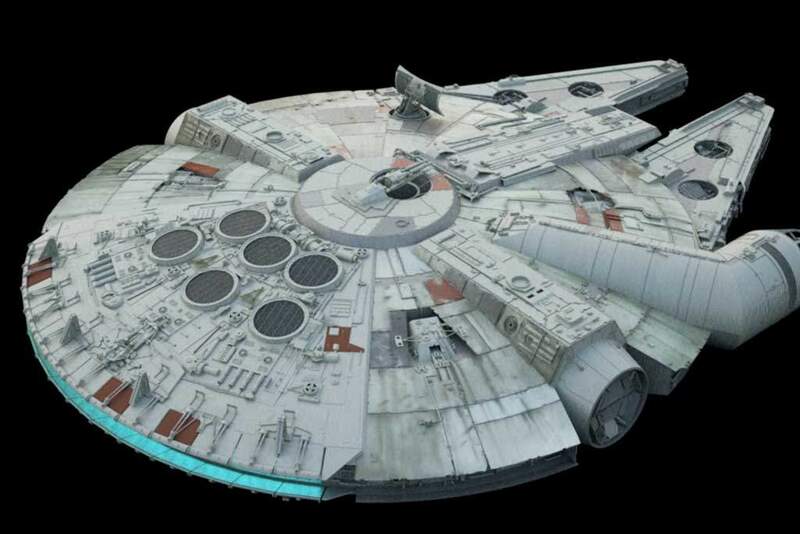 It is built with the exact design of the real Millennium Falcon in mind. The quadcopter wasn’t created for the most impressive aerial views or long battery life like the Mavic Pro. You buy it because it is an exact replica of the Millennium Falcon and it is a dream to be flying that! And Hans Solo and Chewbaca are helping to pilot from the cockpit. Looking for the best personal drone is not an easy task as there are misleading hypes in the marketplace. With the huge selection in the market, it is likely that you end up intimidated or you end up with the wrong choice of makes or model. Basically, the most effective way to narrow down your option is that you should be aware of the standard features that the best drone should have. But did you just say that you both love drones and Star Wars? If that’s the case, here’s the Millennium Falcon drone, an awesome flying drone, to complete your day! It comes with a remote control for stability and maneuverability. What can it offer? Why does it deserve a try? Read on to know more. If you weren’t familiar with Millennium Falcon, it is a ship which created the Kessel Run within just 12 parsecs. This iconic-inspired spaceship of USS Enterprise is incomparable. Itis the smuggling vessel of Han Solo and was co-piloted by the famous Chewbaca. Specifically engineered by the CEC (also called as Corellian Engineering Corporation), this modified YT-1300F is robust, reliable as well as modular. It is even dubbed as the second quickest vessel in the entire Star Wars canon. Initially, the fictional starship appeared in Star Wars in 1977. Afterward, its appearance can be viewed in Return of the Jedi, The Empire Strikes, The Force Awakens and lastly in The Last Jedi. But now, it is no longer an imaginary thing! Air Hogs brought it to our world. It has a second-to-none design. To start with, its body is manufactured out of foam. Meaning to say, it is not rigid. You can actually bend it. Fret not because it’s a robust foam fully covered with rubber. Hence, rest assured that it won’t break easily. Just be careful in handling the equipment. Although it will survive crashes and bump, children may accidentally wreck the drone. 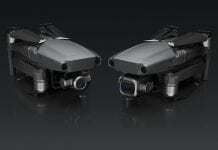 Its transmitter is huge and has an ergonomic design. Another surprising thing about this drone is its transmitter. 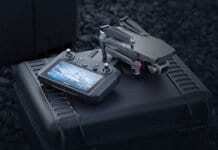 Compared to other drone’s transmitter, it’s more convenient to use. It perfectly with in your hand. You’ll see a large Star Wars logo in the centre, which is pretty good. On the upper part of the logo, you can locate the status LED. When you see a large green button on the top part of the transmitter, it is the switch button. 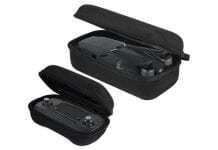 There are also two joysticks sets in four channel configuration. For throttling and yawing, use the left joystick. On the other hand, the right joystick is specifically tailored for rolling and pitching. When it comes to the range of the transmitter, it reaches up to 200 feet or 60 meters. Not only that, the transmitter comes as well with built-in speaker. Sound effects are also included. Wanna kill your time? Go grab a Millennium Falcon drone and enjoy flying it inside your house. It boasts precise and responsive controls. Whether you’d like to perform tricks or try banking, hovering or spinning excellently like you were navigating an asteroid field, Millennium Falcon drone can fly straight. However, don’t expect too much as it doesn’t have any pre-programmed stunts. There’s nothing to be afraid. This drone is 100% safe. If you’ll check its hull, it is made of foam while the rotors are protected. Thus, they won’t take your skin off. Plus, it is quite lightweight with 2.33 ounces. It simply means you don’t need to register it right on the FAA. Measuring roughly 9.5 inches long, it is relatively bigger than other toy drones out there. You just need AA-size batteries to operate it. Keep in mind that the bliss of satisfaction in the flying drone is when it readily flies during the times that you crave for the experience. To simply put, it would be very annoying if it takes too long for your toy drone to get charged. Fortunately, flights with Millennium Falcon drone last between five to eight minutes. Its battery is fully sealed inside. It also has a charging cable built into the controller. This enables you to utilize six AA-size batteries in order to recharge it. Aside from that, it has a pass-through Micro-USB port. Therefore, you can employ a USB or computer charger in powering it up. Basically, you should bear in mind that the best investment is not on the cheapest drone. In the same way, it is not also advisable that you opt for the most expensive one. At least you have to make sure that the price falls in the ideal spectrum based on the quality and your preference. This toy drone costs about $110 in Walmart and $89.99 on Amazon. For just approximately hundred bucks, you can already experience an out-of-this world Star Wars flying experience inside your living room. Isn’t it amazing? The price is very reasonable. With this drone, you‘ll get a wallet-friendly quadcopter. Are you looking for great gifts? For your friends who are fond of collecting toys, you’d better buy them a Millennium Falcon drone. Amaze them through this galactic present. To wrap it up, it is a great drone for you! The Millennium Falcon Drone XL is 27 in x 20 in. It is MASSIVE. Looking at this you think there is no way it can lift off the ground. It is not made from plastic but from Styrofoam, which helps with the weight. It has a 250-foot range. Users say the battery has only lasts 5-8 minutes. It uses barometric pressure sensors allowing it to remain locked to a specific altitude at all times. There are 2 LED lights in the front, and an LED light strip at the back. I need to repeat that you should buy this drone because it is fun to fly and it is fun to fly the Millennium Falcon. A lot of users that fly this, say it favors leaning to one side. The battery doesn’t last long. It is loud; which can be a con, or a pro because it is authentic to the real Millennium Falcon. So, should you buy this drone? Check out this YouTube video by Olivier C., and get more insight on the Millennium Falcon Drone! Next articleWaterproof Drones – Amazing Aerial and Underwater Images!